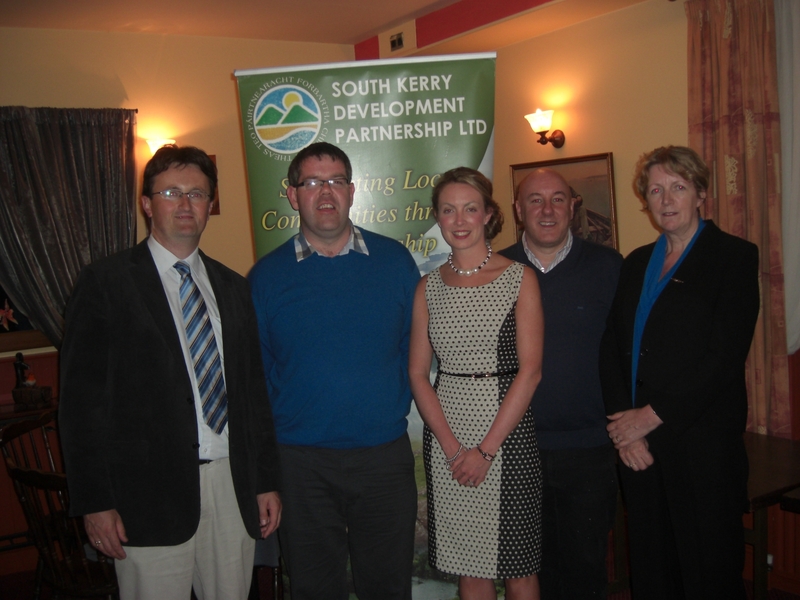 June 2013 – South Kerry Development Partnership CLG. We all have times in our lives that are more difficult than others. Sometimes this leads to our feelings and emotions becoming overwhelming or out of control or more than we can cope with. Counselling offers time, space and safety to express feelings; to feel understood and to discover the way forward. Counselling can enable people to recognise their strengths and find more effective ways of coping. Rachel John Counselling Services offers an emphatic, safe, and confidential environment in which to explore any issues that are troubling you. Rachel’s philosophy is to foster an environment that promotes diversity, equality, deep learning and growth in a humanistic and integrative manner. Rachel graduated with a BA degree in Counselling and Psychometric Testing from the National Counselling Institute of Ireland in Limerick and has also trained in Cognitive Behavioural Therapy with PCI College, Dublin. This dynamic new business was established by Rachel John in 2013 as a private practice based in Milltown, Killarney, Co. Kerry. Rachel also works closely with the Killorglin Family Resource Centre where there exists a strong commitment to delivering a low-cost, confidential counselling service to all members of the community. In times gone by, Counselling held a stigma for many people. Mental Health issues were something to be avoided. Thankfully today, people are beginning to recognise the benefits that counselling can provide. Rachel is familiar with the poignancy and delicacy of the mixed feelings that a client may experience – part of a person may want to go for counselling and part will definitely not. However, it is at this stage that a client needs to let go of the immense pressure that has been built up by a denial that one is “absolutely ok”. This exciting new enterprise has emerged in 2013 with the help of the Short Term Enterprise Allowance (STEA) facilitated by South Kerry Development Partnership Ltd (SKDP). This scheme encourages people getting certain social welfare payments to take up self employment opportunities by allowing them to retain a proportion of their social welfare payment, plus secondary benefits. More than 50 small business owners from the Greater Killorglin area attended a Networking Night in the Manor Inn on Thursday last as part of an initiative to encourage them to develop new beneficial links and establish new business opportunities amongst themselves. The initiative was organised through the Back to Work and Short Term Enterprise Allowance schemes administered by South Kerry Development Partnership Ltd. Amongst the speakers at the event were SKDP CEO Noel Spillane, Colm Healy owner of Skellig Chocolates, Gail McCarthy from the Department of Social Protection and Paul Murphy of SKDP Skillnets. In his address, Colm Healy pointed out that business owners must have confidence in what they do and not to undervalue what they do and what they are worth. He also stressed to the business owners the importance of having a business plan and a strategic plan as he pointed out that if you don’t know where you are going, you can’t get there. Mr. Healy also emphasised the need for a business to decide on the end goal. SKDP CEO Noel Spillane pointed out that on-going support to small businesses is vitally important – particularly in the early years of the business. “This support can be the difference between success and failure” he added. He said that there tends to be a focus by agencies on supporting new business start-ups – but it is vitally important that those that are supported to establish a business can access on-going supports if they are to survive beyond the initial start up phase, enable them to grow the business and prosper. Noel added that networking evenings such as this are important in terms of ensuring that small businesses are aware of these continuing supports and how they can access them as well as giving them an opportunity to establish new business contacts with other small business owners in their area.. The Back to Work Enterprise Allowance and the Short Term Enterprise Allowance schemes offer qualifying people the chance to retain all or some of their social welfare entitlements for a period while they are setting up the business. In addition, other assistance such as grant aid for training or for capital elements relating to the business may be available. To date this year some 130 people in South Kerry have availed of the schemes. Organiser of last Thursday night’s event, Enterprise Officer Joanne Griffin said that she received phenomenal feedback from her clients since the event and they found the presentations very informative and motivating. For further information on the schemes please contact Enterprise Officers Anne O’Riordan for the Cahersiveen or Killarney areas on 066 9472724 or Joanne Griffin for the Killorglin and Kenmare areas on 066 9761615. You can also check out www.southkerry.ie. Further such networking evenings are planned for other areas of South Kerry later in the year. The Irish Local Development Network, the body that represents the Local Development Companies in Ireland such as SKDP, has made a submission to the Southern and Eastern Assembly in relation to the new round of European Regional Development Funding due to come on stream in 2014 and run to 2012. The submission goes through many of the issues to be addressed through this fund and indicates the approach ILDN would like to see implemented. “Homeopathy cures a larger percentage of cases than any other treatment and is beyond all doubt safer, more economical, and the most complete medical science,” said Mahatma Gandhi. Homeopathy is a holistic system of medicine, which means that the whole person is treated. An initial consultation with Sinéad can last between 1 and 1 ½ hours. At this consultation, you may be asked details of your medical history, plus any information relevant to your situation. This dynamic new business was established by Sinéad Hurley in 2013 and is located in Kenmare, Co. Kerry. Along with her clinic in Kenmare, Sinéad has opened a new clinic in Skibbereen, Co. Cork. Sinéad’s philosophy is to offer her clients a 5 star service coupled with the highest quality of advice and treatment at the right price. Sinéad takes great pride in ensuring she listens to client needs. The recent cut of more than 20% in the RDP (LEADER) funding allocation to South Kerry Development Partnership Ltd. has resulted in the loss of 4 jobs in the Partnership and substantial reductions in the working hours of a further three staff. Staff were informed of the cuts following the Board meeting on Tuesday which considered the implications of the funding cut. The crisis meeting also saw the Board consider a system of ranking projects for funding given the project funding available to SKDP as a result of the budget cut falls far short of what is required to cover the significant number of projects seeking funding. Applicants are currently being advised of this ranking system in writing and the Board will meet again in the coming weeks to finalise the funding allocation for projects. It is hoped that funding decisions made on all project applications will be notified to the applicants by the end of June. SKDP CEO Noel Spillane said that the Board deeply regretted having to cut staff numbers in this manner but they were simply left with no choice given the massive cuts in funding announced by the Minister. “We need to maintain a certain level of staffing to enable us to complete the current LEADER programme but we simply could not retain all of our staff” he said. 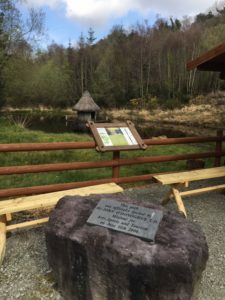 “This is particularly difficult given the amount of work these people have put in over the last number of years with individuals and community groups applying for funding and with one stroke of a pen, the Minister simply pulls the rug out from under us and the people of South Kerry” Noel added. This is obliviously a major blow also to those individuals and community groups who have made project funding applications and who were depending on this to enable projects go ahead, Noel said. He pointed out that this funding cut will have substantially wider implications for the South Kerry region in general given that it will stifle potential jobs growth and hinder the provision of vital community facilities. It is particularly harsh on the Gaeltacht area of Iveragh given that they were effectively shut out of the programme for more than a year and now the Minister does not see fit to allocate sufficient funding for new projects coming in from this area Noel added. SKDP Chairperson Patsy Cronin said that we are simply not going to take these cuts lying down and the Board is going to make representations to the Department of the Environment to have the Partnerships original funding allocation restored. “This RDP (LEADER) programme has been mismanaged from the outset by the Department and it is regions such as South Kerry that are now paying the price for this” Patsy added. “The Government should be doing everything possible to facilitate those who are trying to start up new enterprises and expand current enterprises creating badly needed jobs in rural Ireland and not engage in a fund cutting exercise such as this” he concluded.